New Brunswick, N.J. – The Annual Breeders Awards luncheon, hosted by the New Jersey Department of Agriculture, presented awards to both Catherine Seeds and Lord Nelson on Sunday, January 25. Catherine Seeds, a senior at the Rutgers’ School of Environmental and Biological Sciences (SEBS), is the recipient of the Ernest C. Bell Scholarship for 2015. Dr. Carey Williams, Associate Director for Outreach at the Rutgers Equine Science Center presented the award to Seeds for outstanding scholarship and commitment to the New Jersey horse industry. The Ernest C. Bell Memorial Scholarship Fund was established to perpetuate Mr. Bell’s memory and legacy in the New Jersey Horse industry. Mr. Bell was also a founding member of the Equine Advisory Board. The scholarship is awarded to a senior at SEBS who is majoring in Animal Science with an emphasis in Equine Science. The recipient must be a New Jersey resident and demonstrate a high level of scholastic achievement, involvement with New Jersey’s horse industry, and financial need. 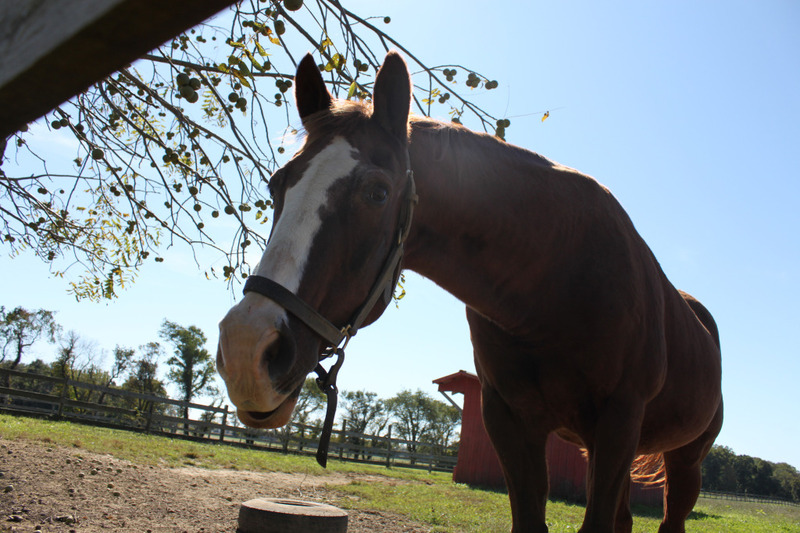 Lord Nelson, a former Rutgers University Police Horse, was awarded the inaugural “Horse Personality of the Year” award. This award honored Lord Nelson’s commitment to educating young horse enthusiasts. Entertaining activities and games, such as those found on the interactive youth component called “Equine Science 4 Kids”, can be found on the Center’s website: esc.rutgers.edu/kids. While 42 year old Lord Nelson was unable to attend the event, Dr. Karyn Malinowski, Equine Science Center Director, accepted the award on his behalf. The event also honored Jacque and Cyndee Rozel, recipients of the 2014 Governor’s Award for Horse Persons of the Year; Horse Breeder of the Year, Deo Volente Farm in Flemington New Jersey New Jersey; and Equestrian of the Year, Kirsten Jeansson. For more information about the Ernest C. Bell Memorial Scholarship, Lord Nelson, or Equine Science 4 Kids, please contact Kyle Hartmann at hartmann@aesop.rutgers.edu or 848-932-9419.